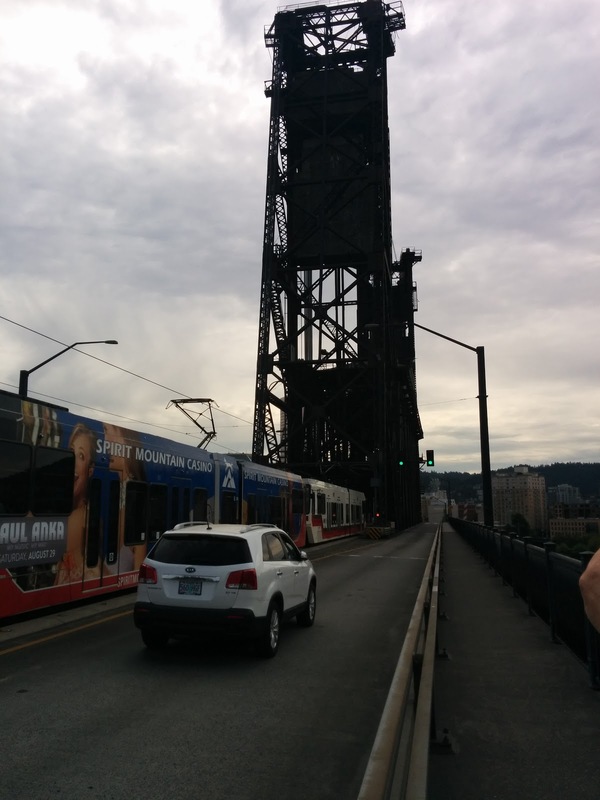 The Steel Bridge is one of Portland's most famous bridges across the Willamette River. 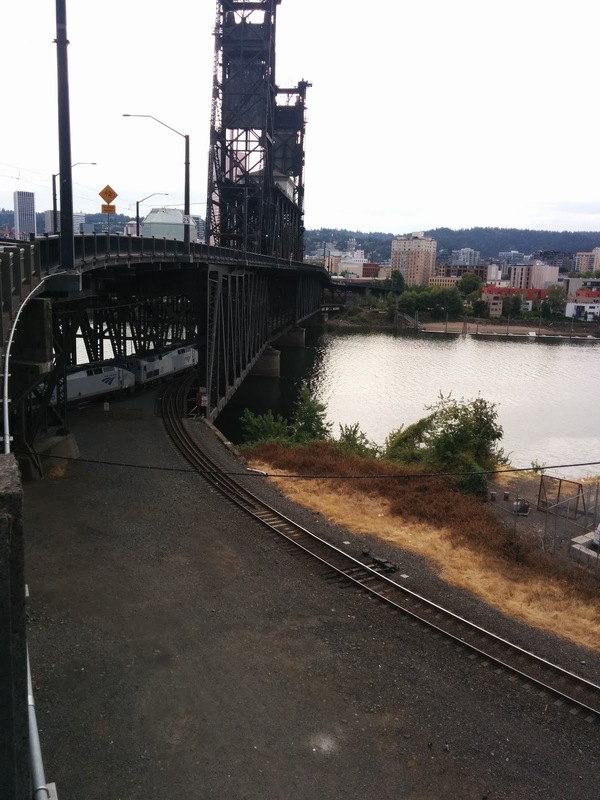 It carries rail traffic on the lower deck and cars and MAX light rail on the upper deck. The lower and upper deck center spans can be lifted independently with the lower deck telescoping under the upper deck. The Wye on the East shore connects the bridge with Albina Yard to the North on one leg and points south on the other leg. 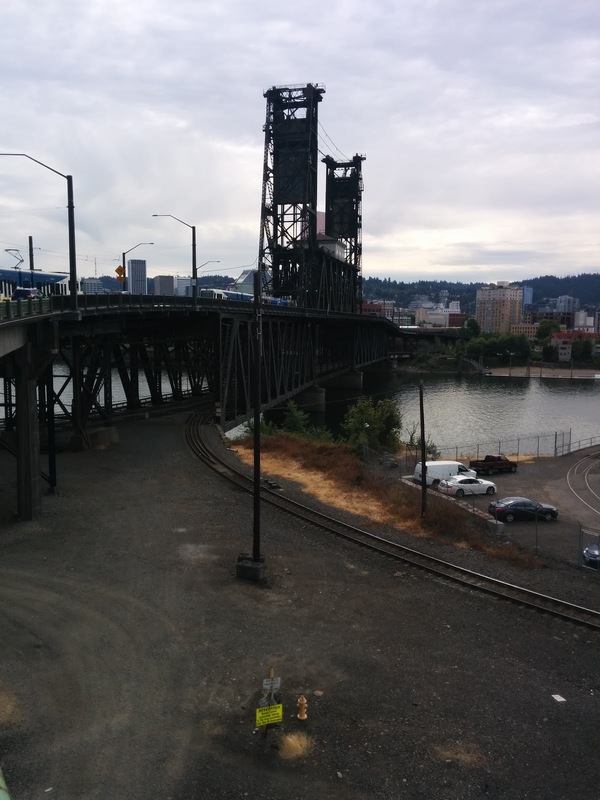 Across the river is Portland Union Station. MAX and cars on the upper deck. Hey look, it's the Coast Starlight to Seattle.